Brother XM2701 is the best product release from Brother so far for the year 2014. 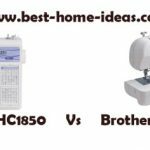 It is an excellent beginners sewing machine and the price is even more tempting. 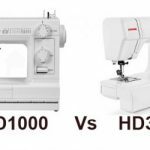 Unlike other Brother sewing machines, XM2701 has never been a popular one. Not many people are aware of this particular model. It has just been launched by Brother recently. 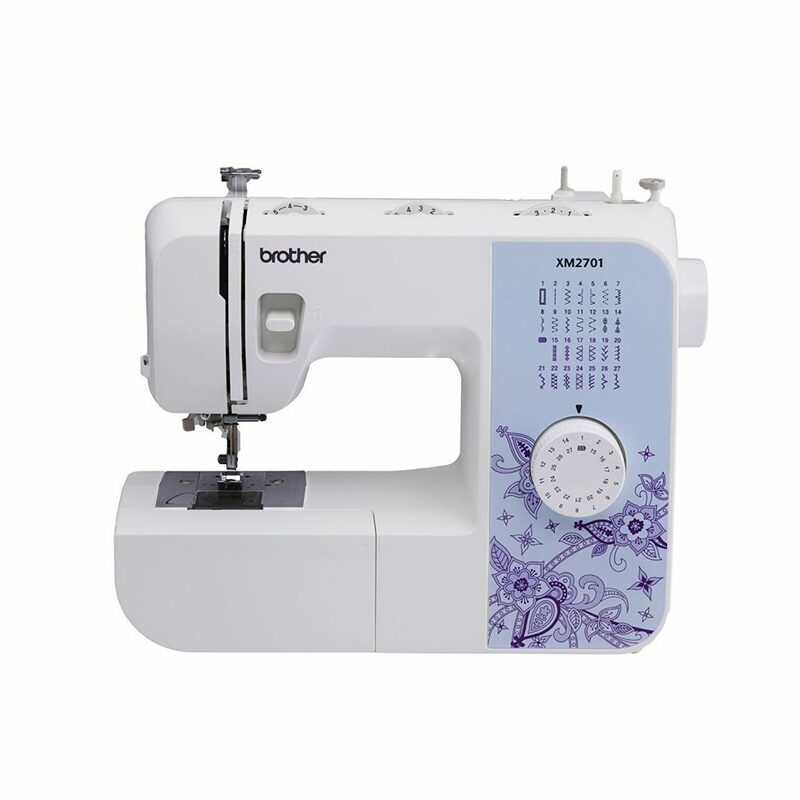 Brother XM2701 is a beginners sewing machine with 27 built-in stitches and 63 stitch functions. The built-in stitches include decorative, blind hem, zigzag and stretch stitches and 1-step buttonhole. It has a lightweight design, the machine weighs just 12.6 lbs, which is really light when you compare with other machines in the same class. You can call Brother XM2701 as a simple machine. It is a mechanical sewing machine which is operated by a foot pedal. The design is not overly complicated and it doesn’t have buttons and controls everywhere. Dials are provided at ergonomically convenient locations. Stitch selection can be easily done by turning the dial. 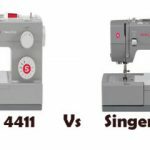 The machine has an automatic needle threader, which is a luxury to have in such an inexpensive sewing machine. Top drop-in bobbin system is another feature that adds to the ease of use. The work area is lit by a single LED. The machine can sew at a maximum speed of 800 stitches/minute. 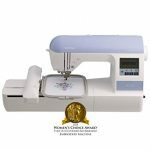 You can do free motion quilting as well, but the quilting foot must be purchased separately.You will also get a variety of sewing feet along with this machine. Included are buttonhole, zipper, zigzag, narrow hemmer, blind stitch and button sewing foot. There is a small storage compartment built-in to store all the accessories. This machine comes with 25 year limited warranty. An instructional DVD is included along with the user manual. When I saw the price and the features, Brother XM2701 looked good on paper. The low price may be because it is a new model in the market. Now let us see whether the features turn into performance. Brother XM2701 works quite well on stretchy and lightweight fabrics. Being a lightweight machine, it seems to struggle on multiple layers of denim. Sewing over 4 layers of thick materials is not really recommended as it is not a machine designed for heavy stuffs. It has a good selection of stitches. The automatic needle threader is a real time saver and for the price it is an absolute luxury to have. The instruction manual is pretty clear and easy to read, so there is no trouble with that part. The transparent bobbin cover is really handy as you can keep an eye on the thread supply. The work light is very very dim. There is no way you can work with the built-in LED, external lighting is the way to go. This is not a million dollar question. The answer is pretty straight forward and it is ‘yes’. 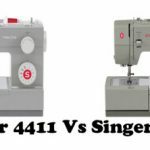 There are many factors that make Brother XM2701 a very good beginners sewing machine. One is that it is really inexpensive for the features on board. The second is that it has enough room to grow your creativity. It is not that basic a machine, it has good enough features to keep up with your growth as a sewer. Since this is a new model in the market, Brother may increase the price once it gets established, let us wait and see. As of now, it is a great bargain for sure.